It’s always important to remember that our students listening skills are in need of constant development. I’m a huge fan of Listenwise and Flocabulary, but I recently came across the app, Leela Kids. The app is full of podcasts organized by age group. These podcasts are organized by age group and by category. I’ll spare you the “Let It Go” parody video. Creating word art: the only thing Wordle is good for. What is it? It’s a great buzzword, but why is it valuable? One of the big misconceptions is that workflow requires technology. That’s not the case. It’s simply the way in which your work……..flows. The way it progresses from one stage or process to the next. In the classroom, writing is a great example of this. In many cases, first you prepare an outline or work in a graphic organizer, then you draft, revise, edit, and write the final draft or publish. This can also be applied to doing tasks. For example, if I think of something I have to do I might write it down on a sticky note. After I have five (completely arbitrary number it could be three or 10 just as easily) sticky notes, I sort those tasks into categories of to do lists – errands I have to leave the house to do, professional tasks, and tasks that can be done at home. After that, I write them in my handy, dandy notebook and as I finish those tasks, I mark them off. No tech involved. Yes, AND a great example of effective workflow. To quote the late, great Stuart Scott, “BOO-YA!” workflow. No special degree required, people. You can totes do this. Just like planning in the classroom, you have to know WHAT you want to do before you bring in any technology. In the case of workflow, sometimes seeing what other people have done will inspire you to create a new workflow. Just remember: The point of creating a workflow is to make things MORE streamlined, not more complicated. If you create a new workflow and find it’s actually making work more difficult, I’m giving you permission right here and now. ABANDON SHIP! Try something new, but reflect and learn from the failure. Where did the workflow go wrong? Maybe you don’t have to abandon it entirely, just pivot. Tweak it and see if that helps. We love journals here at Intelligent Hoodlums. It’s a bit of a love affair for some of us (*cough* @chocolateteacher *cough*). Writing things by hand helps you remember things. I’ve adapted my bullet journal to something that works for me. In addition to the index and summary of the month I have a summary of the week where I record events that will occur when I’m looking ahead at the week and events that do occur as things happen during the week. I also fold my pages into two columns and record one or two days worth of to dos and events in a single column. This way I can fold the page and focus on just one or two days or open up both pages and see the whole week. I think this is a hidden gem of OS X. If you have a Mac and you haven’t peeped this check it out. 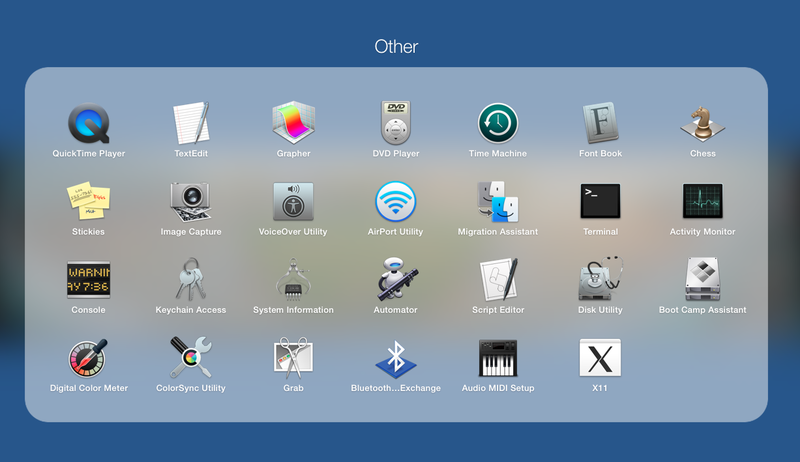 Go to spotlight and search Automator or from your Launchpad it’s in the Other folder. This sits on my desktop and all I have to do is double click to close everything that’s open on my computer. I created a pseudo-program that generated a random writing prompt for my students to practice the state writing test. Bulk editing photos: You know how your camera or phone names your photos IMG9829829829834928 and you have no idea those are your pictures from your 2012 trip to Tahiti? With Automator you can select a group of pictures and rename them complete with date and a numbering system in a couple clicks and a few seconds. Similar to Workflow and Automator, IFTTT, which stands for If This Then That, takes tasks you already do and puts them together to make you MORE ALL POWERFUL (MUAHAHAHAHAAA). IFTTT is available on the web, iOS, or, if you’re so inclined, Android. In the examples I shared, if I lose my phone and email myself with #lostphone, it will call my phone and an automated voice says Liam Neeson’s monologue from Taken. I can send things to Evernote and they get automatically organized by the way I hashtag them in the subject. For example, if I had an Evernote notebook for 3rd period algebra, I could email #3rdperiod and all my notes would automatically go into the right notebook. I have a secondary backup of my contacts because any new contact I add gets sent to a Google Drive spreadsheet. This app is pretty sweet. This is the app that prompted this post. The world is pretty much your oyster on this one (as long as you have iOS 8). You can put together as complex or as simple a workflow as you like. I have one that allows me to speed dial from my home screen. That’s one of the best features IMO. I can save workflows to my home screen for one touch access. Hopefully this has given you some insight into the mysterious term “workflow” and shown you how you can become a productivity ninja using these concepts and tools.